We woke up feeling the effects of our impromptu bar crawl, and a hefty breakfast was in order. Luckily, a delicious brunch place, Sokkelund, was in easy walking distance–and even better, they served coffee refills. I had scrambled eggs with salmon and avocado. After fueling up properly, we were ready to start our day. The Carlsberg Brewery was a 20-minute walk away, most of it through a scenic park. One of the many things I loved about Copenhagen was the amount of green public spaces. 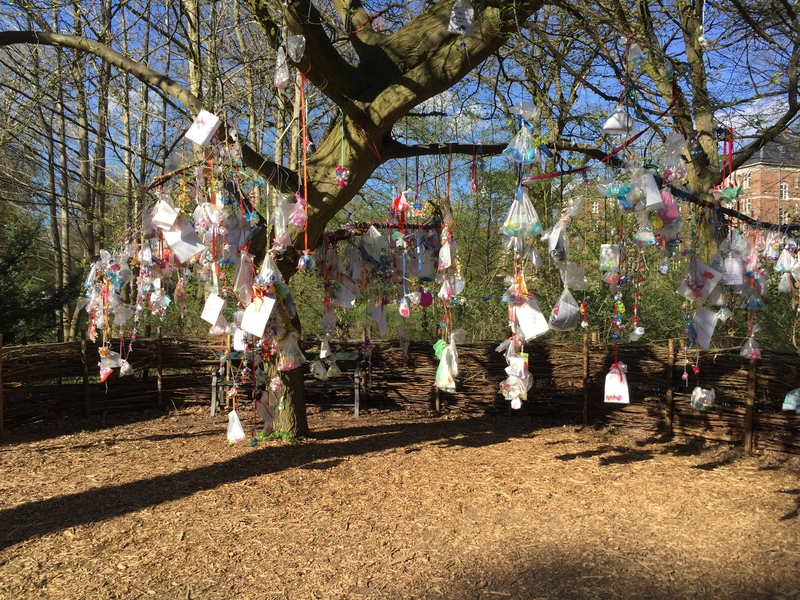 The path wound its way past ponds filled with swans and a tree onto which dozens of people had tied handwritten cards and pacifiers with ribbons. In Scandinavian traditional folklore, once a baby gave up their pacifier they would write a note thanking it for its service and tie to a tree in remembrance. The area where the Carlsberg brewery is located is currently being developed into a whole village complete with apartments, restaurants, and shops. We arrived at the brewery just in time to miss the tour, so instead, we bellied up to the bar for some samples. Our bartender told us that Chicago was his favorite U.S. city (second time in two days!) and it reminded him a lot of his hometown Glasgow. 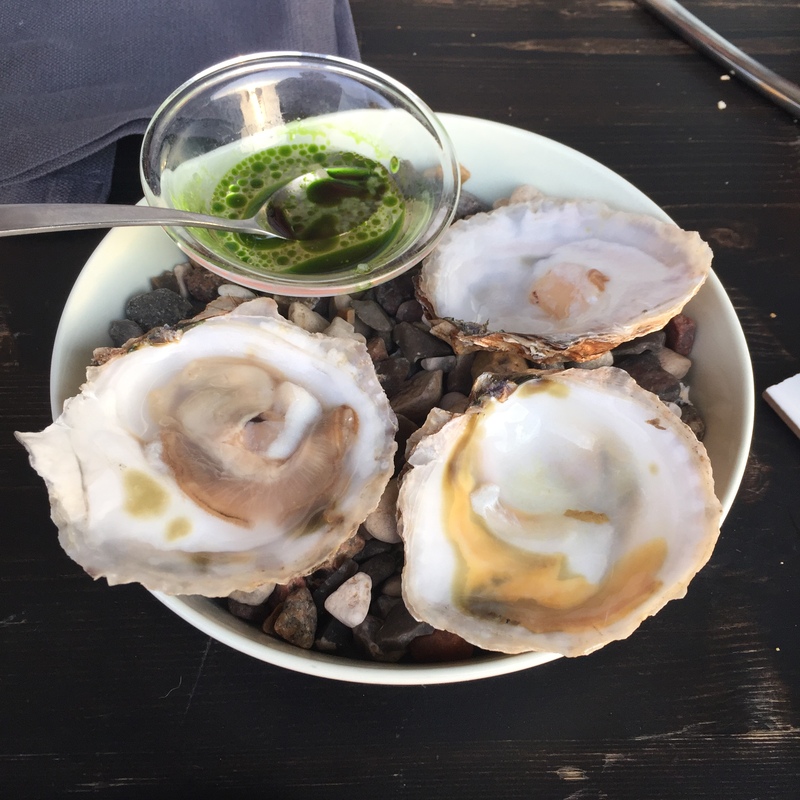 For dinner, we went to an area called Kødbyen Meatpacking District, or “Meat City.” As the sun slowly set, we sat outside and ate oysters from Kødbyens Fiskebar, then crossed the plaza to check out Warpigs Brewpub and their BBQ selection. As soon as we walked into Warpigs, I felt like I was in a Chicago bar (which makes sense, given Mikkeller’s partnership with Three Floyds). 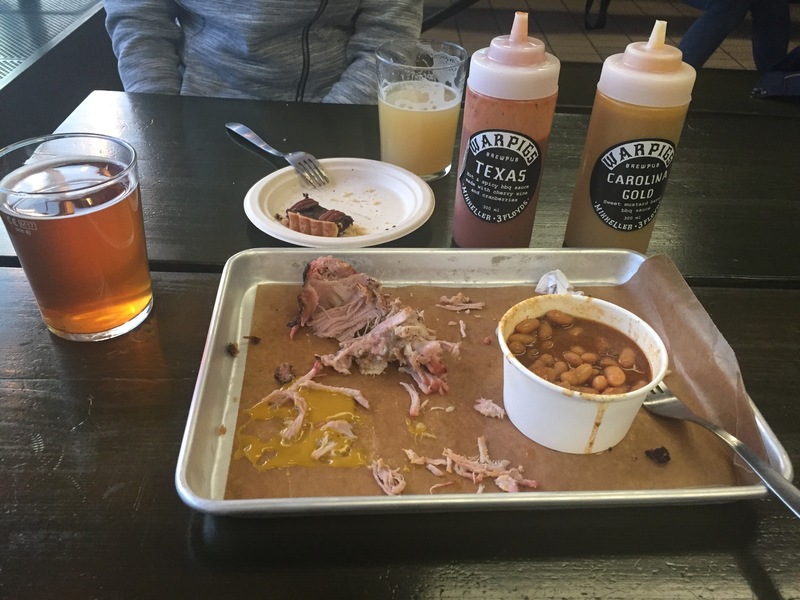 We got a few different beers, the pork shoulder, pork and beans, and pecan pie, and everything was fantastic. After two back-to-back meals (don’t judge, we’re on vacay), walking to our next destination sounded heavenly. Too bad we stumbled onto the next place we wanted to check out within 400 meters: Fermentoren Beer Bar. 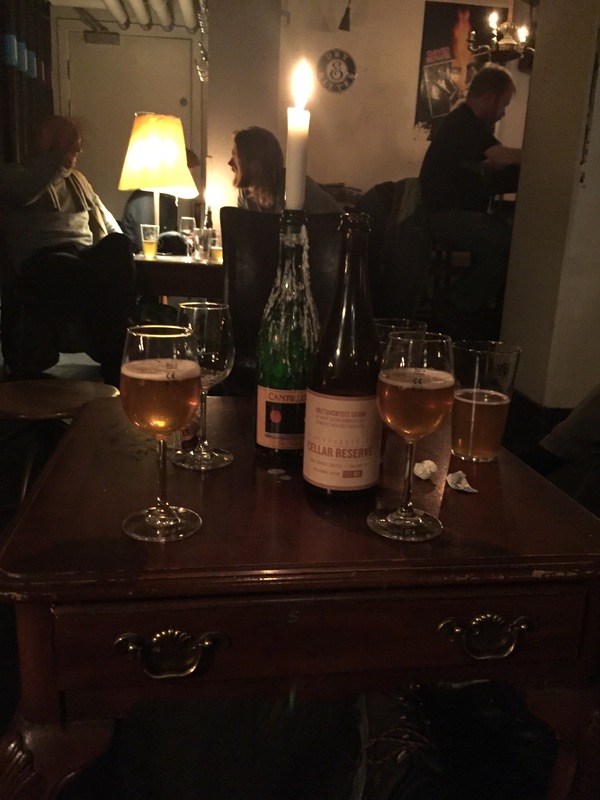 We descended the steps into the small, packed bar and knew that we’d struck gold yet again. The bar had an excellent selection of craft beers on tap, so we found an open table where we could squeeze ourselves and camp out for a while. On the last leg of our walk home, we made one final stop at a bar that totally intrigued us from the outside with its Western-themed motifs and obscured windows, a place called HH Ranch. As we stepped inside, I could swear we just transported to rural kitschy America. The bar was decked out in wood paneling and log cabin decor, and the barstools were made out of western saddles. There was even a Johnny Mnemonic-themed pinball machine(!!). The place was a total trip. We had one final lager and then called it a night; we had big plans for the next day.